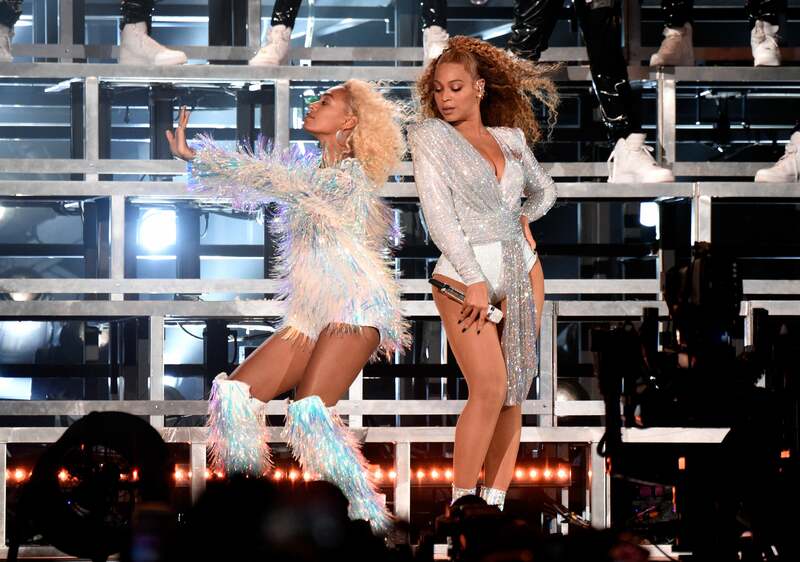 We are still in our feelings that Beyonce’s second Coachella performance was not livestreamed. But that doesn’t mean the internet missed the best moments — including Beyonce and Solange falling on stage. The duo were doing their usual dance-off during Beyonce’s “Get Me Bodied” when Queen Bey picked Solange up for a hug. And something went wrong soon after because both sisters ended up on the ground! They played it off in cute manner by kicking their legs in the air. Then Solange got up and skipped her way off the stage in good humor. “Give it up for my sister,” Beyonce told the audience. And because we are not used to Beyonce messing up anything, the internet had a field day. We adore their sisterly love!